Good selection of Goth classics – excellent Siouxsie, Cave, Bauhaus, Joy Division and Cure selections! Emerging from the primordial punk ooze in 1976 and eventually twisting their way towards their own kind of neo-psychedelia with 1982′s A Kiss in the Dreamhouse, Siouxsie and the Banshees fully embraced their gothic tendencies in 1981 with Juju. They’d always seemed destined for it, between Steve Severin’s prominent bass lines and Siouxsie Sioux’s theatrical wailing (to say nothing of her alluringly demonic makeup). 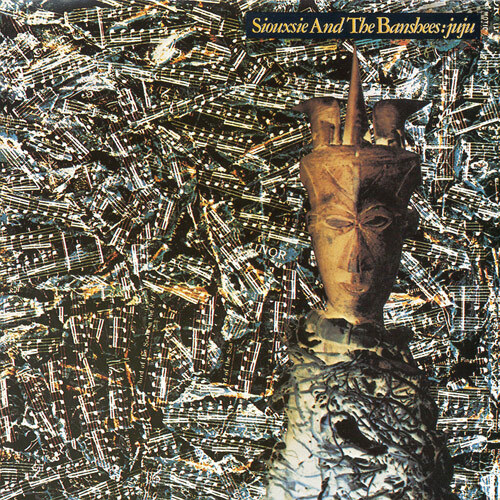 But while “Spellbound” and “Arabian Knights” are dark pop masterpieces, the Banshees push for even bleaker territory on tracks like “Voodoo Dolly” and “Night Shift,” where the entire band descends into extended gothic jams, pushed along by drummer Budgie’s tribal rhythms and given menace by John McGeoch’s splintered guitar lines. “Halloween” seems like a grand slam opportunity for melodramatic cliché, but Sioux instead frames the haunted occasion as a struggle with identity and the loss of innocence. It’s all part of a package that, despite the later creative choices the band would make (a goth band should never cover the Beatles), proved to be an influential cornerstone of the genre. via 13 Best Goth Albums of All Time | Spectrum Culture.